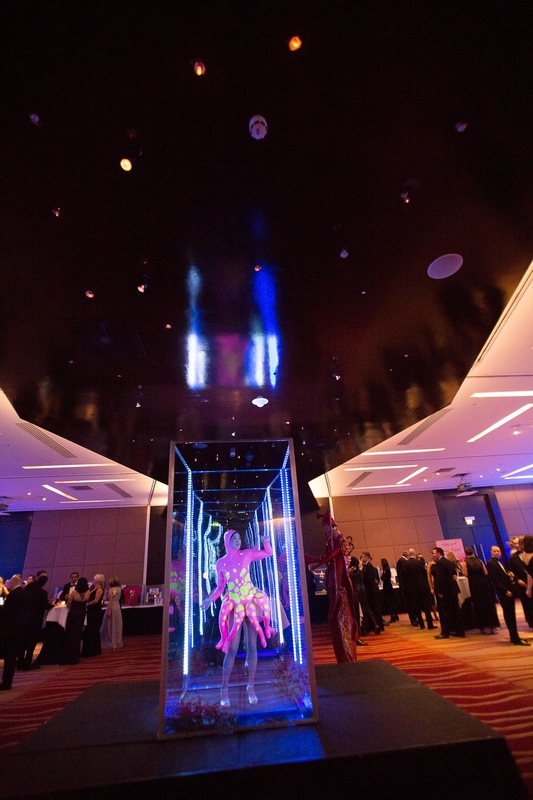 The Lily Ball is an annual charity event held at the Park Plaza Riverbank Hotel London. 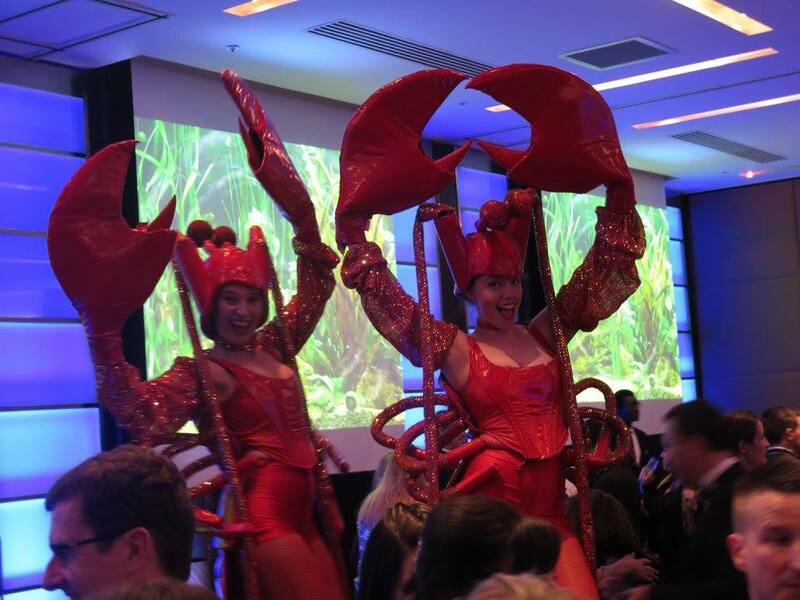 The theme for this year was 'Under The Sea' and Zero Central was entrusted to provide ambient entertainment for the drinks reception. 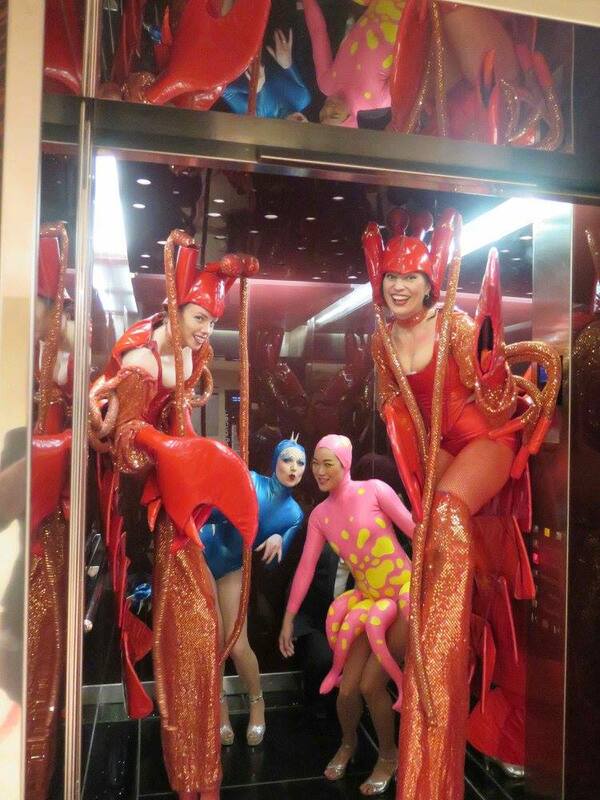 Our 'Infinity Tank' was the center piece for the room, we made inflatable sea creature costumes that included a Sea Horse and an Octopus, designed bespoke visuals that were projected around the room on 12 separate screens and booked our colleagues to perform their stilt walking Lobsters. The Lily Foundation was founded in Lily's memory, having lost her battle to Mitochondrial Disease at just eight months old. Visit the Lily Foundation website to see how you can get involved.